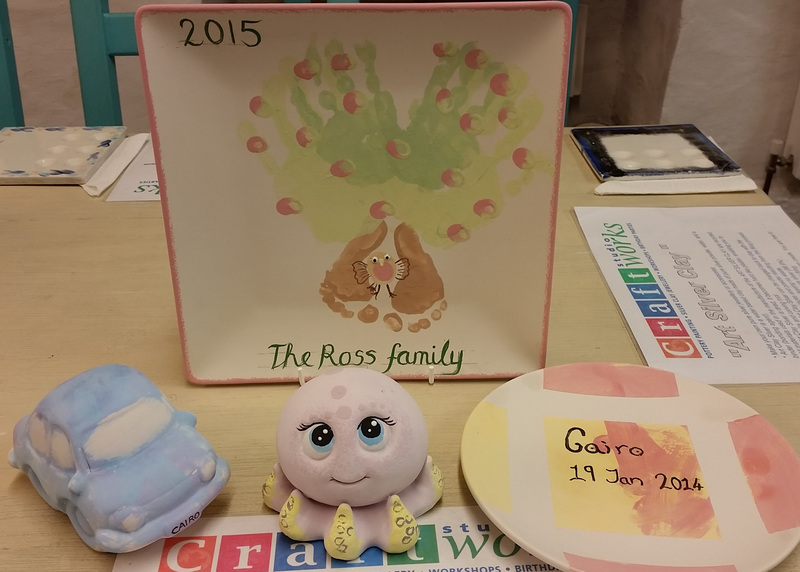 We had a young family in today who have created some lovely pieces including a “Family Tree” Plate. This is made up from the footprints, handprints and fingerprints of the whole family. The photo is of their pieces pre firing so these will come out of the kiln lovely and shiny!